Anupa Kujur could not continue her studies after 12th standard because of financial constraints. Her father is a small farmer and the family consists of the father and two daughters. Though Anupa could not finish her studies, she always had a dream of becoming independent. The chance to fulfil her dream came in the form of a course in the Livelihood College of Jashpur. Someone told Anupa about the course on Housekeeping at the Livelihood College. She was also told that these courses are designed specifically for the various industries and after doing these course many young boys and girls have got good jobs. She thought this could be her opportunity to achieve her dreams. 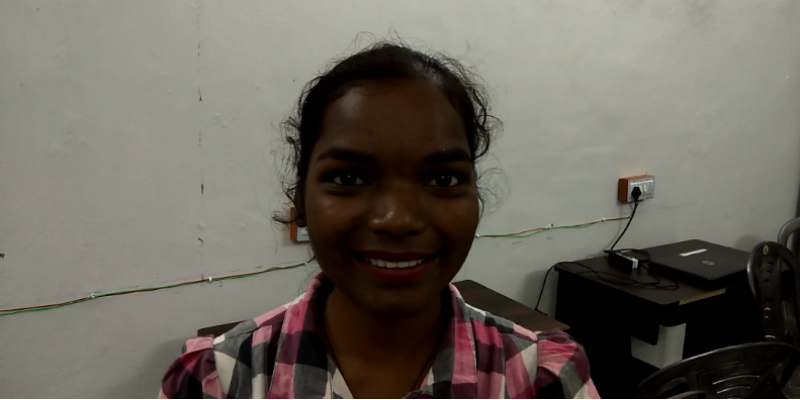 She came to Livelihood College in Jashpur and there she learnt about various courses offered there. “There were various courses including housekeeping. I was always interested in keeping the house clean and decorating it so this course attracted my attention.” She says. After getting admission in the course, Anupa got training in various aspects of housekeeping as well as people skills. She was prepared for the real job market. The fully residential Livelihood College also provides free accommodation and study materials to all the students. Most of the students come from faraway places and also belong to underprivileged sections of the society. The course has changed Anupa and the way she sees life. “Earlier I could not talk much in public. Now I can talk to anybody and it has changed my personality. It has given me a lot of confidence. The training here has equipped me for various challenges in life.” Says Anupa. Anupa has just been selected for a job. She is happy that she will be able to contribute to the family. She believes that the course that she did has changed her life. “Our situation did not let us finish our studies but I want to change our conditions now. The job will help me change that.” She says. Anupa has big dreams about her future and her family. Anupa is one of the many young men and women who have been trained to be skilled workers in the housekeeping sector. It is one of the industries where there is scope for large scale recruitment. The Livelihood Colleges in various districts of Chhattisgarh are aiming to turn the state into a hub of skilled manpower for various industries. The youths from various parts of the state are imparted skill education and it is gradually bringing socio-economic transformation. A lot of youths from the underprivileged sections of the society have been able to land in various jobs in different industries. These youths have been able to change their lives and it is also helping them lift their families from poverty. It has been a source of hope for many. The Livelihood College in Jashpur is one of the prominent campuses of the Livelihood Colleges. Like other campuses, the Livelihood College of Jashpur also plans to introduce new courses to meet the needs of various industries.